This first book is the fourth book in Kate SeRine’s highly imaginative Transplanted Tales series. I love this series and Gideon is one character I am dying to learn more about. And I love who his HEA is going to be! Ever After is due for release August 21st 2014. 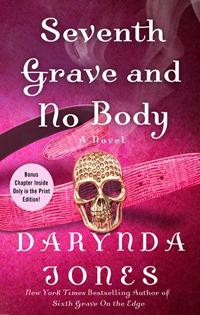 Next we have the cover and blurb for book seven in Darynda Jones’ Charlie Davidson series. I know this is a love it or hate it sort of series and I my friends LOVE this series. Book six isn’t even out yet (it’s due out May 20th 2014) and already I am salivating over this one. Seventh Grave and No Body releases October 21st 2014. Thea Harrison continues her highly popular Elder Races series with this next book. On the run from her former employer, Tess knows that she’s vulnerable on her own amongst the Elder Races. That’s why she decides to audition to become the human attendant of a powerful Vampyre of the Nightkind demesne. But while her position affords her the safety she seeks, her protector turns out to be more than she bargained for. Should be good! 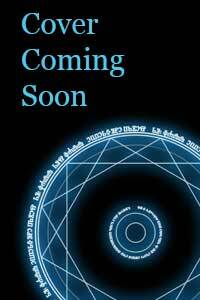 Night’s Honor is due to hit shelves September 2nd 2014. This next one should prove to be as high octane as its predecessors. 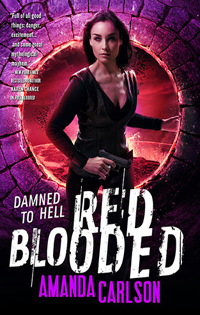 Red Blooded is the fourth book in Amanda Carlson’s fun Jessica McClain series. Jessica is on her way to Hell. After settling a fragile truce between the vampires, werewolves and witches, the last thing Jessica wants to do is face the demons head on. But when the Prince of Hell kidnapped her brother, he set into motion a chain of events that even Jessica doesn’t have the power to stop. Now, Jessica must go into battle again. But Hell is a whole new beast… new rules, more dangerous demons, and an entirely foreign realm. And when Jessica is dropped into the Underworld too soon, without protection or the help of her friends, she must figure out just how powerful she can be… or she will never make it out alive. I love how we keep learning about Jessica and her abilities. Can’t wait to see what she’ll be able to do in this one. Red Blooded is due to release September 2nd 2014. Next up is the second book in Larissa Ione’s The Moonbound Clan series. This plot was set up in the first book and I can’t wait to read how it all plays out! Chained by Night is due out August 1st 2014. Jeaniene Frost is going New Adult. I have never read a NA book but I believe hers will be the one to pop my cherry. 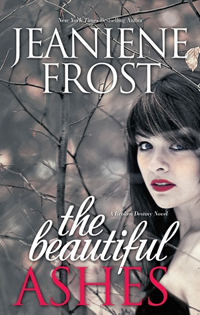 The Beautiful Ashes is the first book in Jeaniene’s new Broken Destiny series and is due to release August 26th 2014. This next one surprised me. 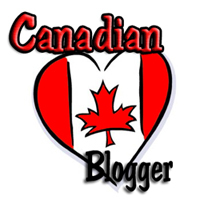 I was not expecting to hear about the next book in Nalini Singh’s Guild Hunter series until much later this year but surprise! We hear now. And I was excited to see who the hero and heroine are in this next installment. In the wake of a brutal war, the archangel Raphael and his hunter consort, Elena, are dealing with the treacherously shifting tides of archangelic politics and the people of a battered but not broken city. The last thing their city needs is more death, especially a death that bears the eerie signature of an insane enemy archangel who cannot— should not—be walking the streets. BURN FOR ME is the first book in a trilogy. The series is titled Hidden Legacy. The format will be very similar to Kate Daniels in that each book will have its own beginning and end and could be read out of order, but together they will show the progression of the main conflict and relationship. The heat level will be above Kate Daniels series, although we are doing the slow burn. Slow burn is kind of a relative term at this point, because they burn quite hot and the relationship progresses – hopefully – in line with the characters’ personal growth. There is an HEA. It’s an Avon title. 😀 Of course, there would be an HEA. The tone of the books overall is at the same time a little more mature than Kate Daniels, but also a little less gory. Bad things happen, but there is less decapitation and more shooting and collapsing of buildings. Bad guys do die. I think there is a lot of humor, but that’s more for you to judge than for us. I cracked myself up a couple of times and Gordon laughed in a spot or two. 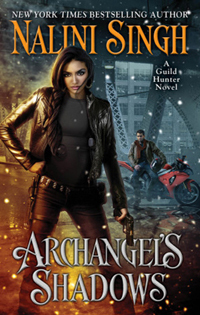 Kate Daniels is more of a heroic fantasy/police procedural. Hidden Legacy is more of a political thriller, similar to Of Swine and Roses and Silver Shark. It’s unapologetically over the top at times, but that’s why we had so much fun writing it. 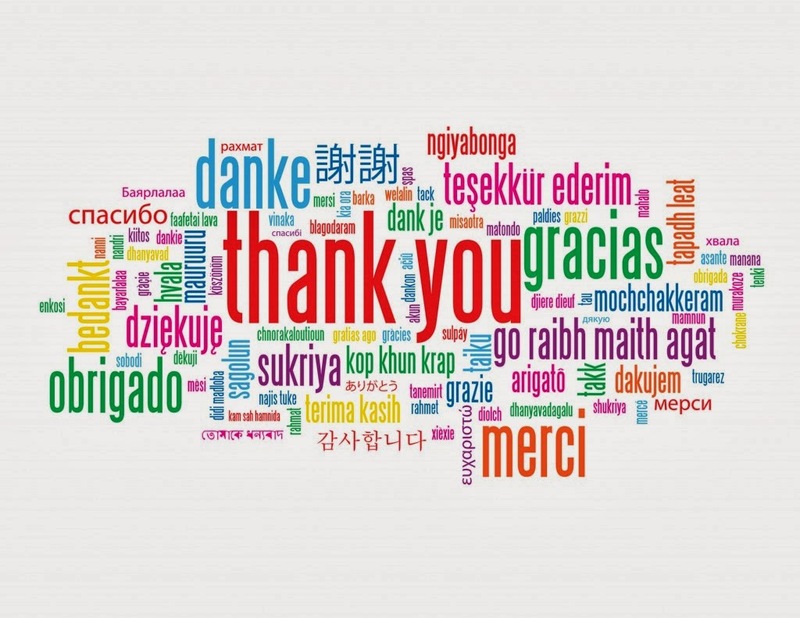 We hope you’ll like it as well. Ilona has shared some snippets on her website so if you are curious, you can check them out there. Burn for Me is due to hit shelves October 28th 2014. Share the post "Covers, Blurbs and Ilona Andrews News"
There is so much attitude in Ash’s face and pose. I LOVE it. Lovely, I did not see all of that, dratted new Facebook. Thanks Julie! 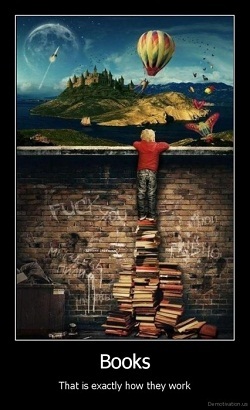 so many wonderful books to read! I’m impatient! So many great books coming out!